Mafia 2 producer Denby Grace has apologized after causing offense with a supposedly funny comment in an interview. 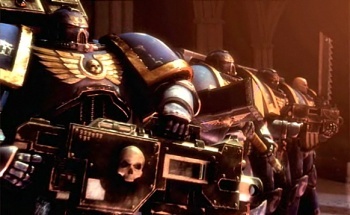 Over the weekend, Grace commented that the biggest problem that the videogame industry faced at the moment was an "obsession with gay space marines." While the comment was meant as a joke, it still upset some people, and Grace has issued a formal apology. He said that his intention had been to make a funny comment on the "hyper-macho 'bromance'" that he thought was increasingly common in videogames, but that he had regrettably done so in an insensitive way. He described his comment as "thoughtless," and apologized unreservedly for any offense he might have caused. This really highlights one of the main problems with communicating via the internet: You can never be entirely sure who your audience actually is and so you have to be careful about what you say. Grace didn't mean any harm by his comment, but his choice of words has muddied the point he was trying to make.